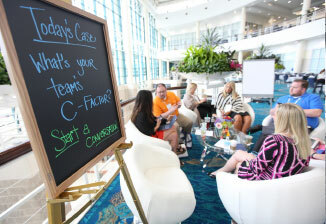 Provide conference participants with a variety of different learning experiences than the typical in-room breakout sessions, foster high energy and networking. Utilize the public open spaces and foyers within the convention facility to create several different types of learning activities, ranging from hands-on workshops to short lectures to technology clinics. 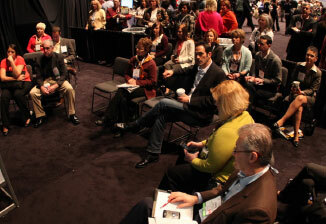 These types of learning opportunities allow participants to further personalize their overall conference experience, invest shorter amounts of time in any particular topic and stay engaged throughout the day. 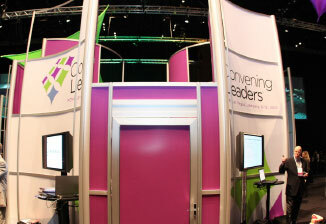 Help attendees to personalize their conference experience. Create four different luncheon experiences in the same room, with four different menus and service styles. Sections were color coded so participants could let their fellow attendees know where to meet them for connections. Menus for each section were displayed on digital screens so attendees could choose which menu and seating option they liked best. 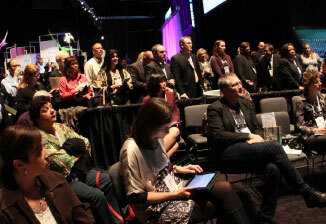 Each of the four sections seated approximately 700 participants, and created buzz-worthy conversation for the rest of the day. 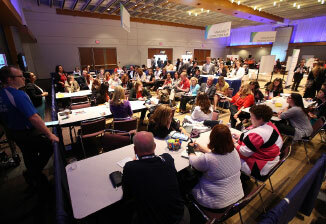 How to use a large arena space innovatively while providing learning and connections for participants. 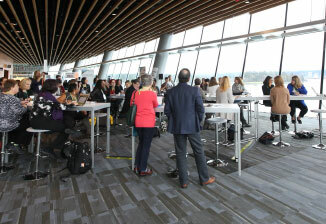 Smaller, more intimate learning environments were designed and integrated into a networking breakfast held on one end of the space, with the full-attendance plenary session held on the opposite end. 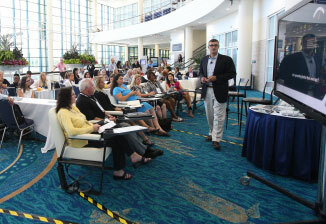 Education topics in these energetic spaces were brief investments of time for participants with two-three learning takeaways per topic. Design a new and compelling education program that combines a variety of adult-learning concepts. 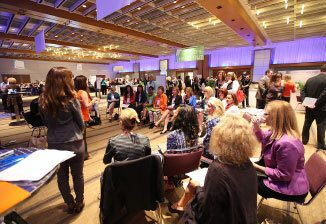 Design two separate education programs for the 550 attendees—on day one, utilize breakout rooms for concurrent education sessions; on day 2, create the entire day’s programming in one ballroom, allowing for a variety of interactions and activities. 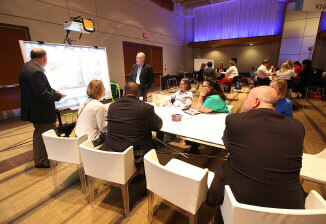 Incorporate lounge areas for conversations and numerous crowd-sourced activities utilizing the conference app.